In practice we seldom have to limit the guests to a birthday party. If you're having an Inflatable party we like to limit the guest count to 40 or less and if your having a Cosmic Glo party we'd like to limit the guest count to 25 or less. Depending on the day of the week and the other parties that particular day, we can make exceptions. Most of our parties have provisions to add individual guests and/or in groups of five. Please see the details page for your specific party. Regardless of the number of guests, when you check out we will give you the best possible rate for the actual number of extra guests. What if I have more children than my package allows? You will be charged per extra child ($10-Silver, $14-Gold, $18-Platinum, $20 Platinum Themed) over the maximum number of children in your party package. Will there be someone in the party room to serve the food? Definitely yes! We want to make a wonderful party for your child and you! There will be a Run,Jump,-n-Play® Party Host or Hostess at every party to help the party run smooth. We will take care of all the set up and clean up for the party. Can I bring confetti or hang streamers? Because we have gone to great expense to professionally decorate our party rooms, we ask that nothing be hung on the walls. Also, no confetti or silly string will be allowed. If you use them, you will be subject to a $25 cleaning fee. NO drinks other than water bottles even with a $39 outside food fee. 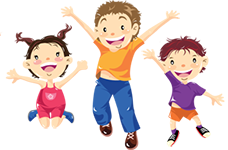 Run,Jump,-n-Play® is a family-friendly facility. We do not allow alcohol. When do you need to know my head count if I am ordering pizza, balloons (may not be available due to global helium shortage) or goodie bags? We will call you two nights before your party for a final guest count. We will need to know how many children and adults will be attending the party for the final guest count. How many adults does a pizza feed? Each pizza is cut into 10 slices, we count two slices per person (including adults). It is up to you to determine how many adults you think you will have and how many pizzas you want for them. We will box up any leftovers for you to take home at the end of your party. What if less/more children show up on the day of the party after I have placed my pizza, balloons (may not be available due to global helium shortage) or goodie bag order? Sorry, we are unable to change guest list numbers the day of the party. Our pizzas, balloons (may not be available due to global helium shortage), and goodies bags are prepared in advance. Pricing is determined on the final guest list count you provide to us two days before your party. You should arrive 15 minutes ahead of your scheduled party time, this is so you can check in with the greeter and bring in your cake so you will be ready for when your guests arrive. All party guests must bring a signed waiver, or have submitted an on-line, and a pair of socks. You are welcome to bring your own birthday cake free of charge. Don't forget your candles! Can I provide my own decorations, paper products and set them up before my party? You are more than welcome to bring in paper products, however, we do provide plates, forks, cup and napkins free of charge. However, you may not be able to access your party room until 15 minutes prior to the time your party is scheduled for the room. No. All family members can be on the same waiver. We have extras at the building in case someone forgets theirs. What should my party guests bring to the party? Your party guests should bring a signed waiver form or have submitted and on-line waiver. Our greeters will have a list of all participants who have submitted and on-line waiver. All participants are required to wear socks so please remember to bring a pair. Am I supposed to tip the Party Hosts/Hostesses? Tipping is at your discretion. Our Party Hosts and Hostesses work very hard to make it an enjoyable and memorable event for your child. They greatly appreciate the gratuity reward for a job well done. If you elect to tip your Party Host/Hostess, we recommend using the same standards similar to that of a restaurant.